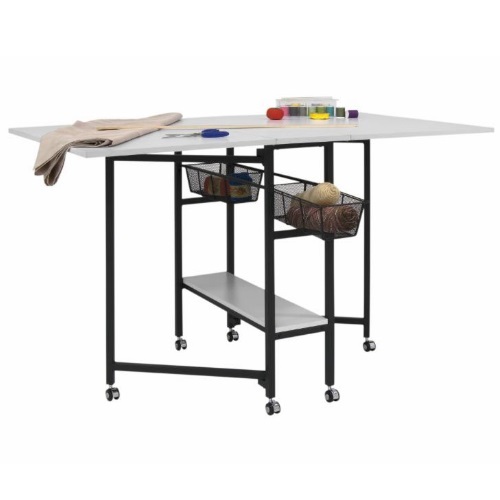 The Sew Ready Mobile Fabric Cutting Table with Storage folds easily and has casters for quick storage when not in use. 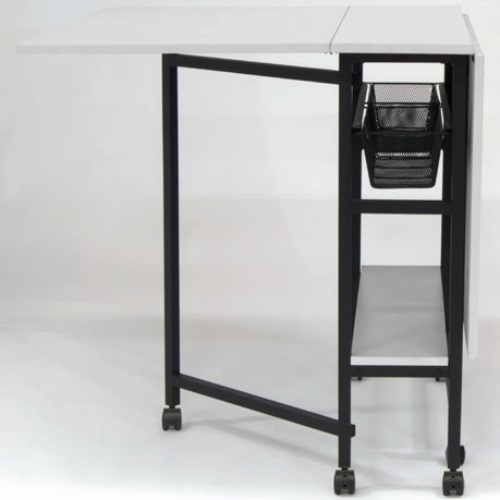 When fully extended this table offers a work surface that is 60 inches wide, 36 inches deep, and 30 inches tall making it ideal to spread-out, cut or adjust fabric and patterns. 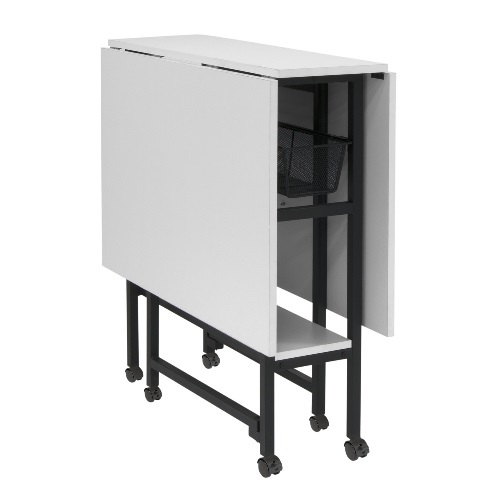 Wire mesh drawers and a bottom shelf offer storage for sewing or craft supplies. 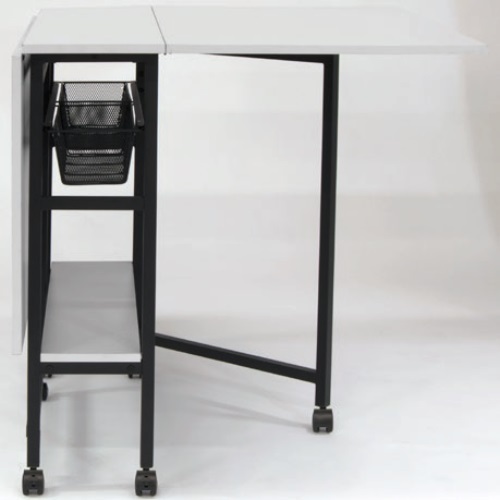 Weight Limit: Center/Bottom Panels: 50 lbs ea. Weight Limit: Side Panels: 25 lbs ea. Weight Limit: Wire Baskets: 15 lbs ea.